There are not a lot of 1980s style video arcades left in the world. Unfortunately, one of the few remaining in Seoul is about to go up in smoke. What starts as a dodgy scheme quickly turns tragic in Lee Do-yun’s Confession (trailer here), which screens during the 2015 New York Korean Film Festival. While playing hooky from their middle school graduation, In-chul, Hyun-tae, and Min-soo nearly died during a mishap in the mountains. In-chul was able to return with help just in the nick of time, but for a while it looked like he had abandoned his chums. As grown-ups, the trio are still inseparable. Although Hyun-tae has married, the slick In-chul and slow-witted Min-soo treat his lovely deaf wife Mi-ran and loving daughter Yu-ri like family. Oddly, In-chul is closer to Hyun-tae’s mother than her own son. Although the details are vague, Hyun-tae, the squeaky clean fire-fighter resents her dubious dealings, whereas In-chul can relate only too well. Naturally, when she hatches a plan to torch the subterranean arcade for the insurance money, In-chul is the one she calls. After much browbeating, Min-soo agrees to help his sleazy pal. Inevitably, things go spectacularly sour, leading to the accidental death of Hyun-tae’s mother (fire in a basement dive is just an awfully bad idea). Soon, Hyun-tae is hunting the perpetrators, utterly oblivious to his friends’ involvement, while a humorless insurance investigator suspects all three amigos. 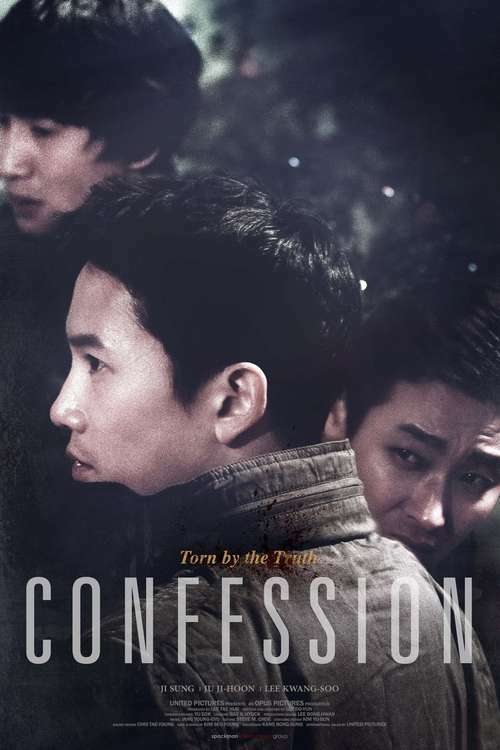 As noir morality plays go, Confession makes A Simple Plan look upbeat and whimsical. Accidentally killing your pal’s mom is pretty darned Biblical stuff. In fact, screenwriter-director Lee gives the deceit and betrayals genuinely tragic heft. The way he calls back to their boyhood misadventure is particularly heavy, almost Shakespearean. Those elegiac highs help smooth over some of the rough patches, including Hyun-tae’s profound lack of intuition. That the only sympathetic grown woman in the film never has any spoken dialogue is also slightly problematic. Nevertheless, Lee is devilishly adroit at dropping one darned thing after another on In-chul. 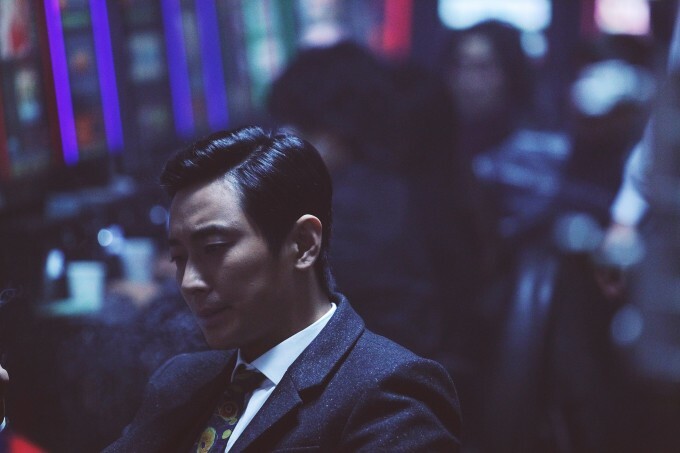 Ju Ji-hoon plays the increasingly desperate In-chul to the hilt, with just a touch of Nic Cage mania, but not too excessively much. Ji Sung is perfectly fine as the ploddingly righteous Hyun-tae. However, the dignity and reserve of Lee Kwang-soo’s work as the potentially offensive Min-soo really saves the film’s bacon. Confession never breaks any new cinematic ground, but it sure closes strong. If you enjoy noirs served with grit and angst than you will find it to be a rich feast. Recommended for thriller fans, Confession screens this Saturday (11/7) at the Museum of the Moving Image, as part of the 2015 NYKFF.